If you’ve ever seen ants in or near your home that run around with their abdomen raised over their head, these are known as acrobat ants. These ants got their name from the peculiar way that they move when they’re disturbed. While these ants usually don’t bother people, they can bite if they feel threatened. When they invade homes, it’s important to look into South Carolina acrobat ant control. Acrobat ants have a distinctive heart-shaped abdomen and range in color from light brown to black. Some of these ants have a multicolored tone with a head and abdomen that are more darkly colored than the rest. Acrobat ants usually measure between one-sixteenth and one-eighth of an inch in length by the time they’re fully grown. What do these types of ants normally eat? They have a diet that’s much like that of sugar ants, although acrobat ants also feed on honeydew from other insects or aphids. They also look for high-protein sources of food, such as meat, along with eating sweet foods. If these ants find their way into your home, you’ll most likely see them around the kitchen searching for foods to eat. These ants look for sources of damp or moist wood to nest in, such as decaying logs, although they can also be found nesting under rocks and up in trees. When these ants enter a home, they usually look for areas with moistened or damaged wood for their nest. You might end up with a nest inside wall voids, door frames, window frames or baseboards. In some cases, these ants will simply take over and expand abandoned nests formed by other pests in the past, such as carpenter ants. Acrobat ants are able to get into homes by climbing along wiring from outside. Tree limbs and fences also provide them with ways to enter homes. They can also get in through gaps near windows and doors. Acrobat ants can cause several problems when they get into your home. 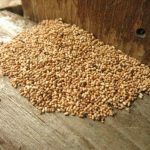 While they might be more of a nuisance than a threat, it’s still important to have South Carolina acrobat ant control eliminate infestations. These ants can cause electrical problems, including short circuits, when they remove the insulated exterior from wires. They can also cause an unpleasant smell when they’re disturbed. Acrobat ants can ruin food supplies in your home as well. What should you do if you have acrobat ants in your home? Thoroughly eliminating these pests means being able to locate their nest and carefully remove it. At Island Pest Control, our South Carolina acrobat ant control services can successfully find their nest and get rid of it. Our technicians can also use pesticides or bait to handle infestations and lower the risk of having another one. You can reduce the chance of having acrobat ants come into your home by taking a few steps to discourage them. These include making sure that branches and shrubs aren’t making it easy for acrobat ants to reach your home. 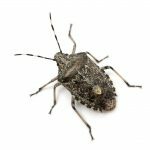 Closing up gaps and crevices around doors and windows and on any part of your home’s exterior also makes it difficult for these pests to get inside. Keeping crumbs and other food particles cleaned up can also prevent these ants from moving in, since you’re removing their motivation to find food. If you have acrobat ants in your Hilton Head home, give Island Pest Control a call today. We have technicians available to provide you with dependable South Carolina acrobat ant control in order to eliminate these pests. 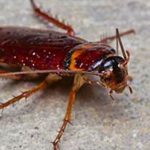 We offer a free 58-point pest inspection to make sure that we find and get rid of all pests in your home.